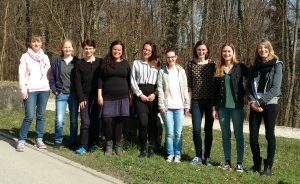 … to the website of the Plant Interactions Ecophysiology Group at the Department of Biology at the University of Konstanz. Global change, such as climate change and/or biological invasions of species, has severe consequences on forest ecosystems. Facing these challenges and the accompanying ecosystem changes, more detailed knowledge on the basic processes and underlying mechanisms is required to understand ecosystem functioning. We develop and deploy state-of-the-art approaches and cutting-edge methodology to understand the responses of forest ecosystems to the environment. We envision a biodiverse and sustainable world. 2) provide the scientific basis to develop strategies to support ecosystems and humankind to reverse or adapt to these changes.